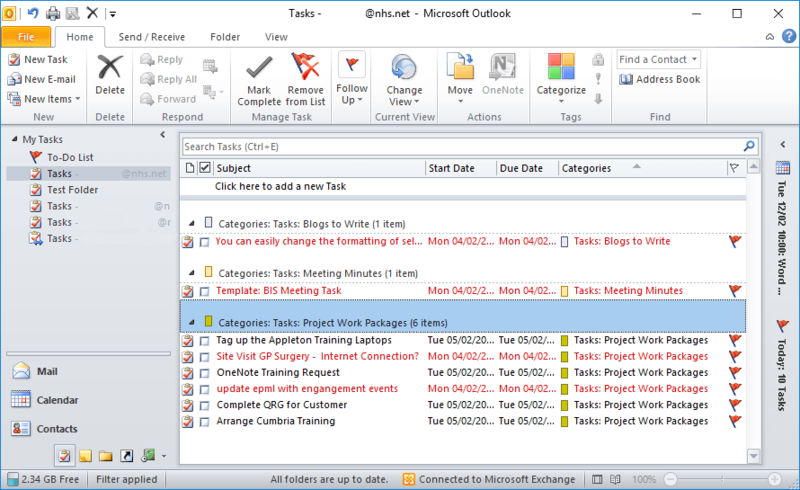 Outlook Tasks – what are they all about? Why not just whack everything in the Calendar and have done with it? 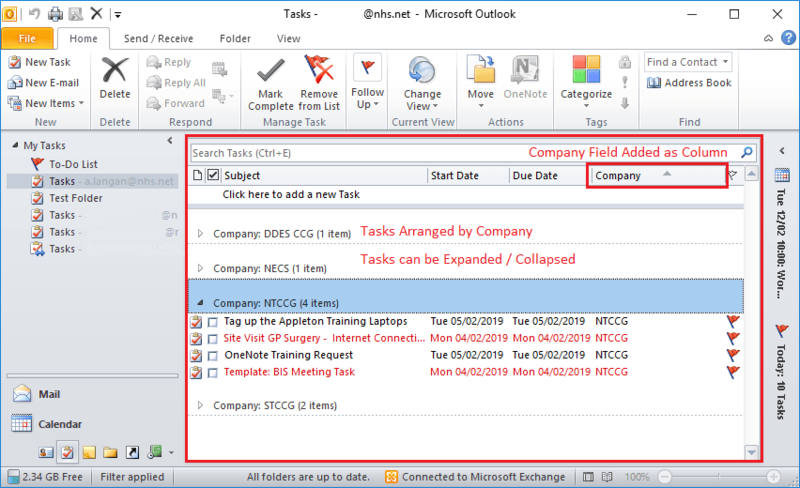 Well, if your Calendar is heaving, and you just now and again find yourself ‘dropping the ball’ when it comes to getting things done, maybe it’s time to take a closer look at Outlook Tasks. 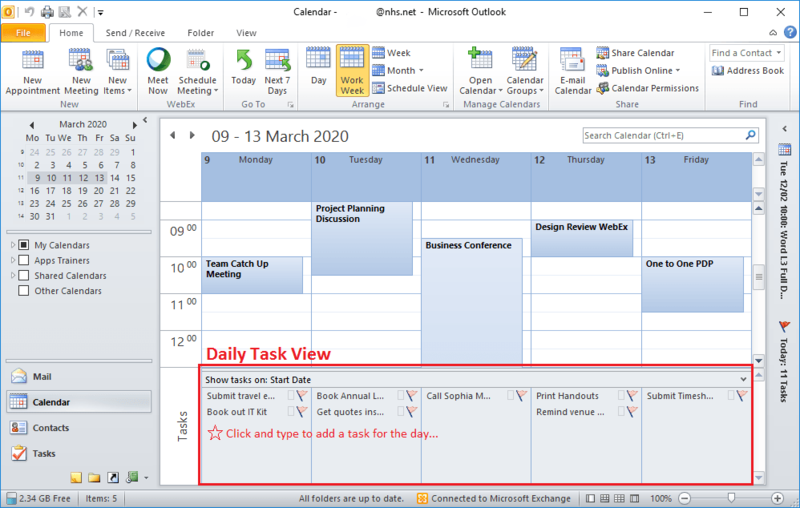 The screenshot below is from a user who has enabled the Daily Task View in their Outlook Calendar. Notice that the Calendar contains nothing task related, only meetings, appointments and events. 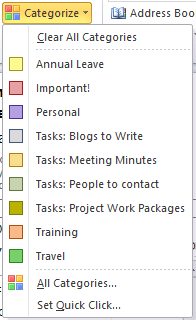 Outlook Categories are very useful for sorting, filtering or finding Tasks. This could be by Project Name, Customer, CCG, Meetings etc. Notice the prefix used on some catagories in the image below. These can be used exclusively for organising Tasks. There’s a max. of 25 colours available, but a limit of approx. 500 catagories. In the screenshot below, see how even large lists of Tasks can be managed by assigning catagories to them. Select or clear the Keep an updated copy of this task on my task list check box and the Send me a status report when this task is complete check box. The person assigned can decline the task, accept the task, or assign the task to someone else. If the task is declined, it is returned to you. 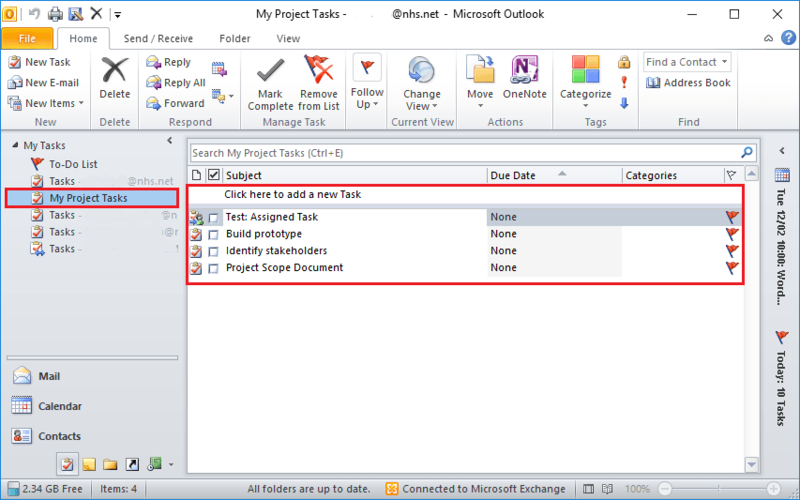 Link an Outlook Task to a page within a OneNote section. OneNote launches, the Page is displayed with the addition of the Task Subject along with a flag at the end of the Page’s contents. 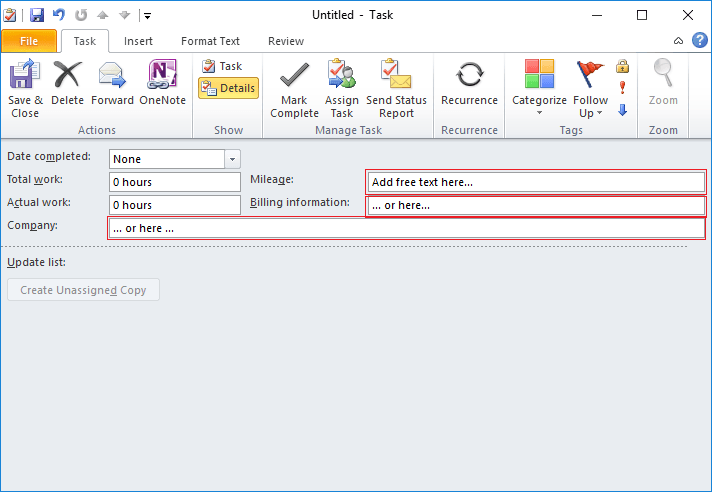 This OneNote Page can easily be found at any time by opening the Outlook Task and selecting Task > Actions > OneNote. OneNote launches and opens the linked Page. These views can also be displayed by clicking on the icons in the Navigation Pane. Some users enter free text into rarely used fields so it can be displayed and sorted in Task columns. 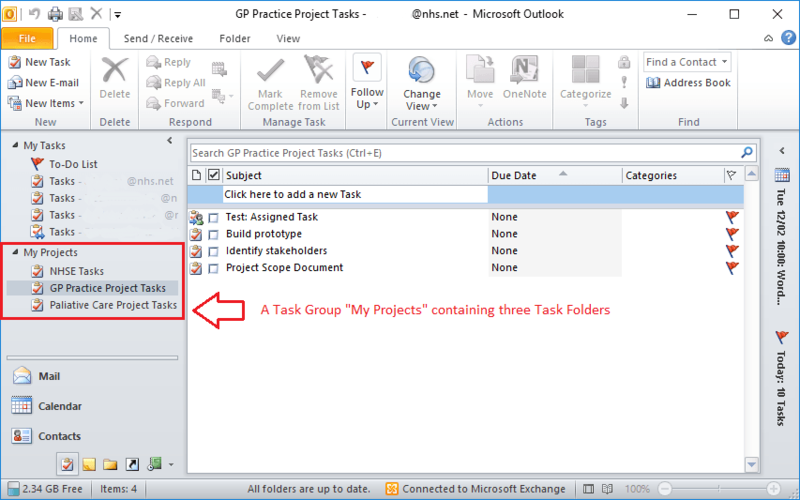 The screenshot below shows little used fields available for adding Task information. Some use these as a hack for adding any kind of free-text which can be sorted and arranged. Tasks are arranged by the selected field as in the image below. Unlike default Task folders, new ones can be renamed and deleted.